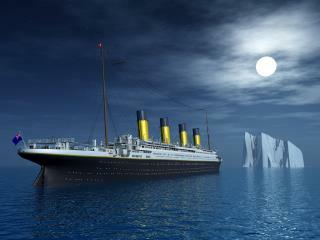 (Newser) – The story of how the Titanic was found is widely known, but some of the most interesting details are only now emerging, reports USA Today. A new exhibit at the National Geographic Museum in Washington, DC, reveals the once top-secret story. "The Navy is finally discussing it," Robert Ballard tells National Geographic. Ballard is the oceanographer and Navy commander who found the wreck in 1985. The exhibit, Titanic: The Untold Story, explains how the Navy had commissioned Ballard to explore the wreckage of two nuclear submarines. The subs were resting on the floor of the North Atlantic Ocean, and the Navy wanted to determine if the nuclear reactors on board were potentially dangerous and why the subs had sunk. Ballard asked if he could look for the Titanic after he had completed the mission (which would be the first of two) because he believed the passenger liner was located between the two subs. Deputy chief of naval operations Ronald Thunman agreed, never suspecting that Ballard might be successful. So he used TAX PAYER money to find his dream ship. THEN he didn't put a salvage claim on it to preserve the dignity. That led to the FRENCH to start grave robbing the site. What an intelligent buffoon. Who cares? Why is this news? i heard that the Titanic sunk on the fifth of May and was loaded with a large shipment of mayonnaise which is why we have the cincoing de mayo.